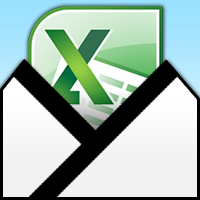 For all you spreadsheet users out there who have decided to upgrade to the latest version of Microsoft Excel 2010, you’ll be happy to know that there are plenty of sites that can help you make the transition to the updated program as painless as possible. Whether you are completely new to Microsoft Office Excel spreadsheet program or you are upgrading from the 2003 or 2007 version to the latest 2010 edition, there are a number of sites out there to help you find your way around the new program. Here are ten of the best online tutorials for learning Excel 2010. Because of the many benefits that the format offers, PDF has become the publishing standard for most companies and businesses worldwide, particularly in the last decade and half. 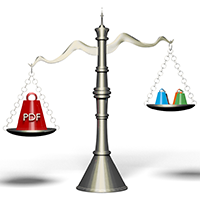 Turning your documents into PDFs makes them immediately more portable, smaller, and generally easier to use. The versatility of the PDF is another aspect that makes it so perfect for business documents, among many other features that make it the most usable and suitable format for all types of business presentations. The PDF format allows you a faster delivery of your documents in a versatile and cost-effective manner, and it provides the person who are sending it to with a document that is easy to view, navigate, store, print and share. Here are some of the most important and obvious advantages of the PDF format in the business world. Not many people on Twitter know that their tweets actually have expiration dates. Sure, they will always appear in your twitter stream, but after a matter of days, they are already unsearchable. Twitter needed to do this because of the website’s popularity and huge number of users. However, this is not good news for users interested in data-mining, because twits will not be able to be found through Twitter’s search engine just days after they are tweeted. 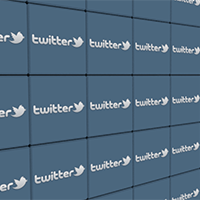 Thankfully, there are plugins, applications and various other methods that you can use in order to back up not only your tweets, but the tweets of other people that you might want to archive. Here are three different methods to backup your tweets and save them either as PDFs, or Microsoft Excel and Outlook formats. If you are serious about your blogging, then you should be equally serious about cataloging and backing up your work as well. 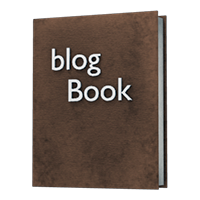 One of the best ways to do this is to convert your blog to PDF and essentially make an e-book out of your blog. BlogBooker is an excellent site that allows you to do just that. In several easy steps, you will be able to turn your blog into an e-book for your safe-keeping or to share with your friends who always forget to check out your blog when you tell them to. The site works with three of the biggest and most popular blogging websites – WordPress, Blogger and LiveJournal.